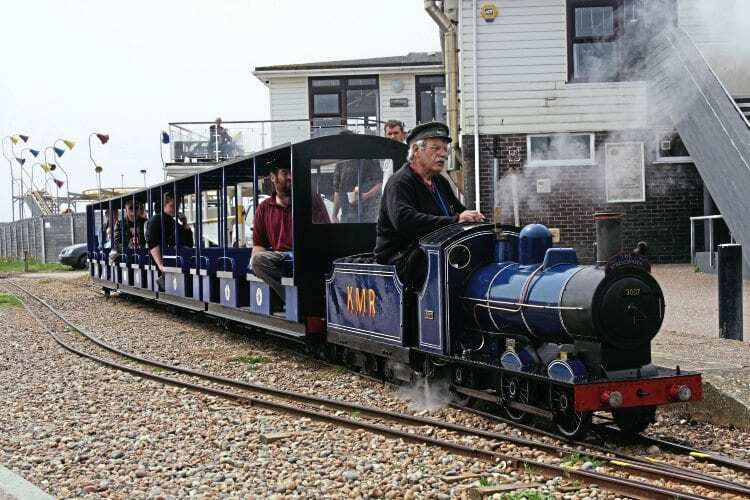 THE 10¼in-gauge Hastings Miniature Railway (HMR) held a 70th anniversary gala on June 2-3, with all available resident locos joined by visitors. These were No. 6100 Royal Scot, from the private Ingfield Light Railway, West Sussex (similar to the original HMR Bassett-Lowke loco of 1938); Firefly, the original HMR Bullock 0-6-0; and Meteor IV (Shepperton 2-4w-2DM), from Vanstone Woodland Railway, Hertfordshire. A similar event was due to take place on June 30-July 1, with the annual gala on September 29-30 also expected to see a number of interesting visitors. HMR has been much enhanced since a change of ownership in 2010. The railway opened in 1948 in Old Town, Hastings, East Sussex, where it runs alongside The Stade, home of Europe’s largest beach-based fishing fleet, famous for its large net shops.